A formal portrait of Henrietta Briggs-Wall of Hutchinson in Reno County, Kansas, who designed the picture, "American Woman and her Political Peers," and commissioned W. A. Ford, also of Hutchinson, to execute it. 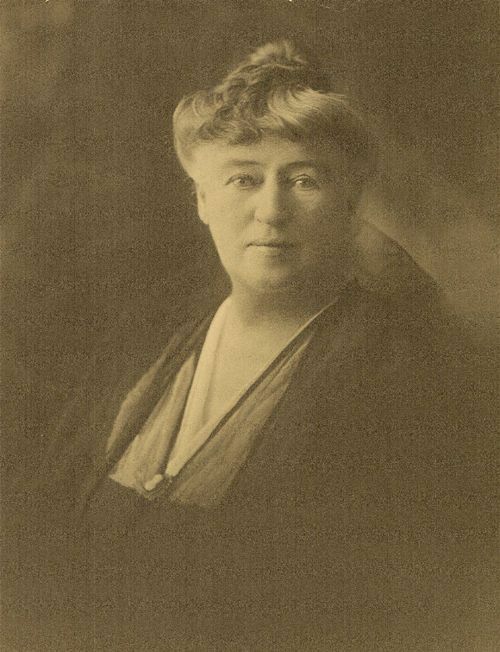 Briggs-Wall was active with the Kansas Equal Suffrage Association, and with national and state chapters of the Women's Christian Temperance Union. "American Woman and her Political Peers" was finished in time for Briggs-Wall to take it, at her own expense, to the World's Columbian Exposition of 1893 in Chicago, Illinois.